*I received a party kit to facilitate my post as part of a promotional program with Cadbury and MomSelect. All opinions are my own. My daughter has always loved to play tea party. Maybe she loves playing dress-up with fancy hats or last year’s princess costume. Perhaps she loves the tea-pot filled with something delicious like apple cider or soda. She might love the finger food I put out for her to enjoy. One thing is a certainty- I know she LOVES a tea party that includes a Cadbury Ice Cream Bar! 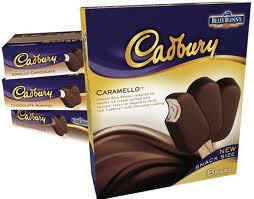 The big hit at our tea party (with the kids and the grown-ups) was the Caramello bar! Absolutely delicious! 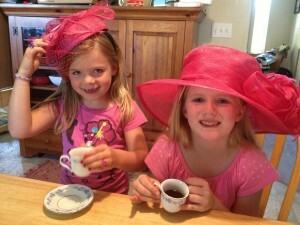 Our family was visiting from out of town, so we decided to have a little cousins tea party. Even the boys joined in the fun! The girls loved getting all dressed up for tea. 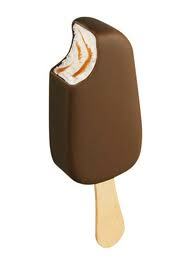 The delicious Cadbury ice cream bars really hit the spot on a hot summer afternoon. 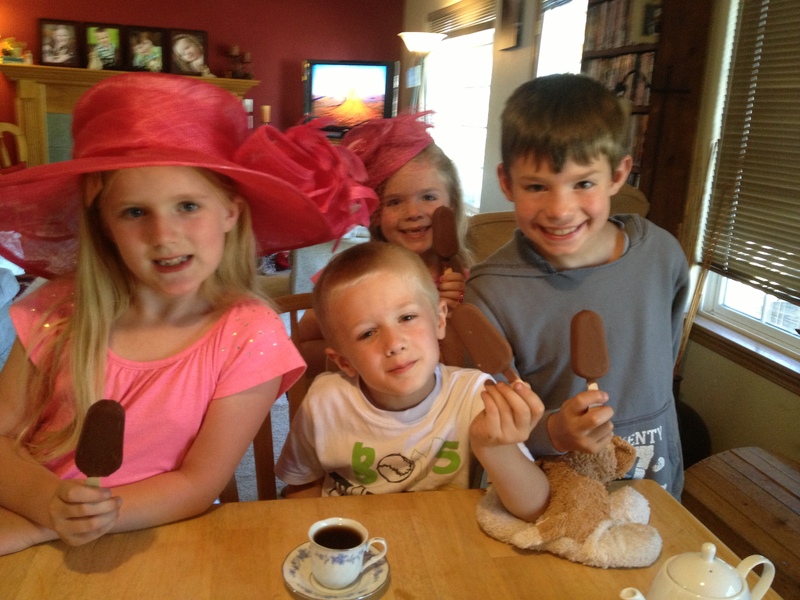 Our whole family has continued to enjoy these tasty ice cream bars. I love that they are just the right size – not too small, but not an overwhelming guilt-inducing size. These bars satisfy your sweet tooth for a sweet 140-160 calories (depending on variety.) So pick up a box at your local grocery store, put on your Sunday best and throw a #CadburyHighTea of your own!